Yo it’s Alan Young and in this article, I’ll show you How to Find Hot Products to Sell. Before I go any further if you don’t like to read then check out the video at the bottom of the page that shows you everything that’s in this article but in a video. So I’ve got 3 simple ways to find hot products to sell on your store. I feel the best out of them all is this first method. This is totally free as well! All you need to do is simply put in terms that are likely to be used in other peoples ads then scroll through and see what Facebooks got for you to see. Use Facebook Search Bar To Find Winning Products. 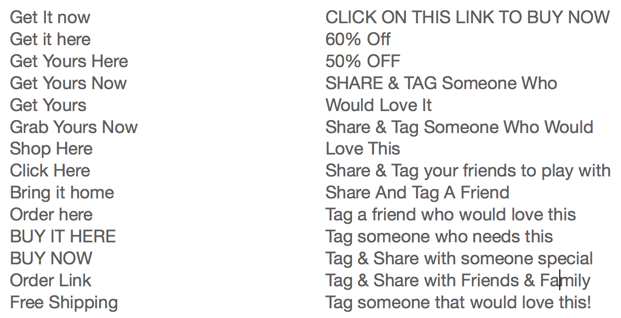 When you put in a term like “get 50% OFF today” you’ll see lots of ads that have that term in. You can search posts, images or videos and you’ll see a mix of different ads. Make sure you’ve got it checked to posted by anyone, any group, anywhere and from the last year. What you’re are looking for is ads with 1000’s of likes and tons of recent comments. If there’s comments within the last day or 2 which are good, like people tagging their friends saying they want one then that is a good indicator that the product is popular and is still doing well. Here’s a list of search terms to help find products to sell on your store. There's no excuse not to know how to find hot products to sell. Once you’ve found some good products with tons of likes and recent engagement then go find them on Aliexpress and sell them on your store. You’ll even know what Ad copy is working well from their FB ad. So now you’ll get a hot product with proven ad copy. It’s as simple as that! This is quite a new tool I’ve recently come across. It’s a website that has is a curation of best selling AliExpress products. You can search products in lots of popular categories. I think the trending option is really cool as that’s a good way to find products that are hot right now. Then click on the product and you’ll be taken to this page where you can click the link to be taken to the product page on AliExpress. There are loads of ways to search for products on this so have a play with it and see what you can find. So the next way to find dropshipping products to sell is to use a paid tool called Intelligynce. This is a wicked paid tool which you can secretly spy on competitors sites and see what their best selling products are. Once you’ve purchased Intelligynce you simply install a Chrome browser extension which then pops up when you’re on a competitors store who uses Shopify. This is of the reasons I like using CommerceHQ instead of Shopify because there's software that can spy on your store if you use Shopify. With CommerceHQ your store can’t be spied on with those tools. Anyway here’s what you’ll see with the browser extension. You can see all sorts of data like recently uploaded products, their apps they use on their store, their social media accounts etc. The most important though is the Best Sellers, with this info you can go and find their best selling products on AliExpress and them upload them to your store and sell them yourself. This is an amazing tool but like as I said at the start it’s not essential. If you’ve got the money to invest in it then great, if not then don’t worry the Facebook search method will work a treat. So there you have it you now know how to find hot products to sell on your dropshipping store. These 3 ways work great. No need to over complicate things. Just get out there and start finding those products. Here’s an article showing you a comparison of Commerce HQ vs Shopfiy. The CHQ platform is outstanding, it converts higher and it’s more cost-effective as well not to mention the revolutionary drag and drop visual store builder.